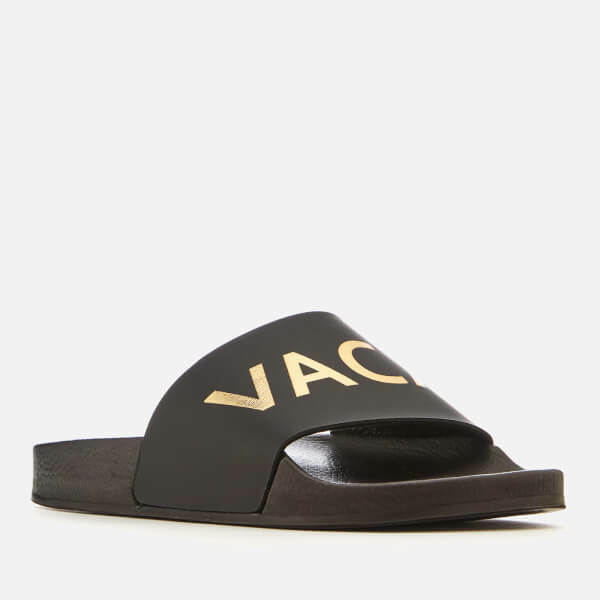 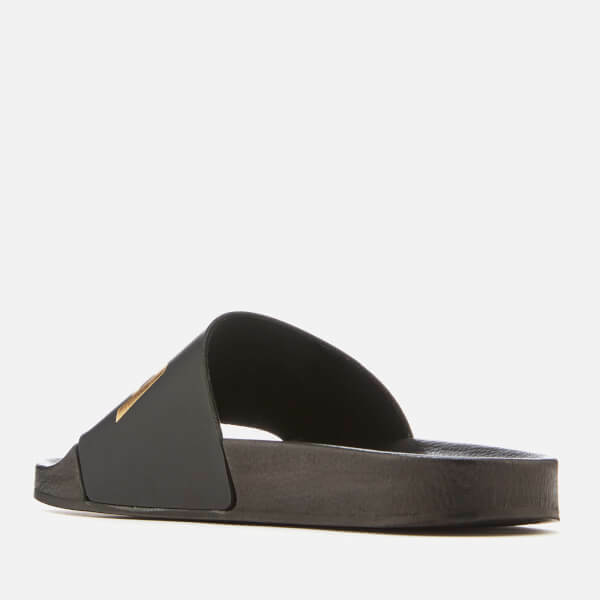 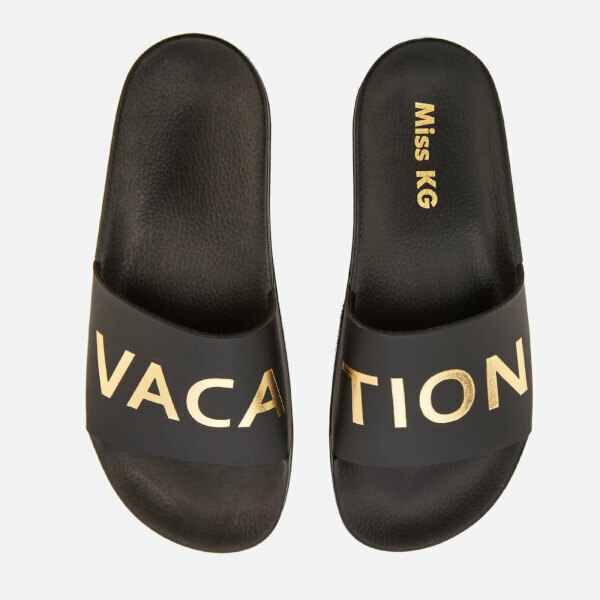 Women’s black slide sandals from Miss KG. 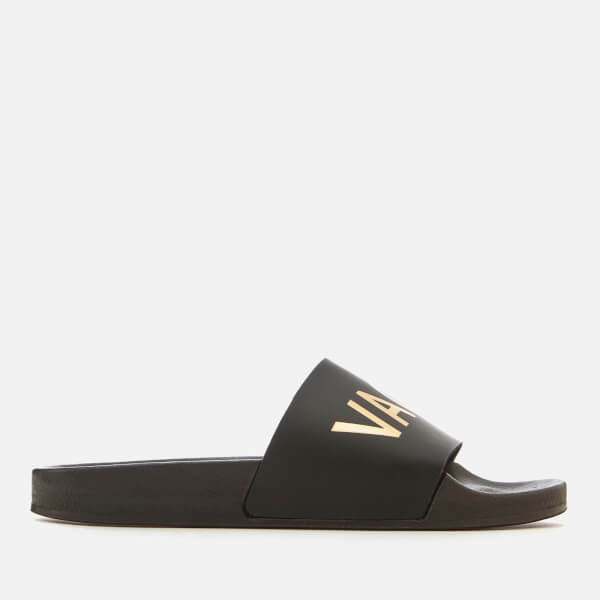 The lightweight ‘Rave’ sliders are designed with a playful gold-tone metallic print across each strap that makes up the word ‘Vacation’. 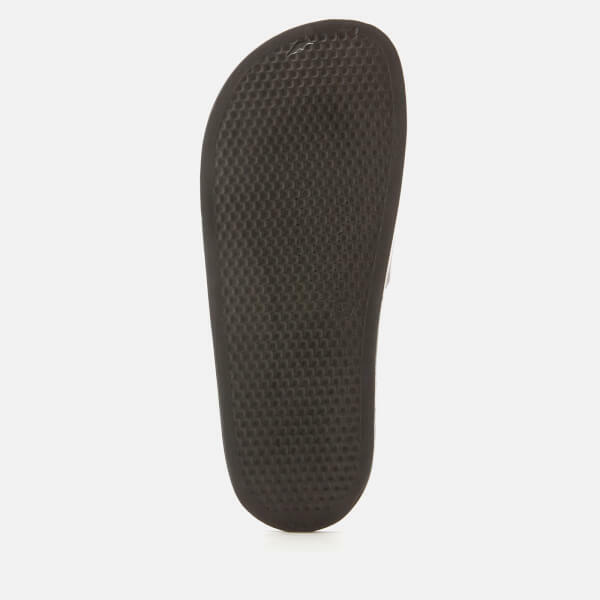 Complete with a moulded footbed for comfort, a textured outsole for added grip and logo detail to the left footbed.